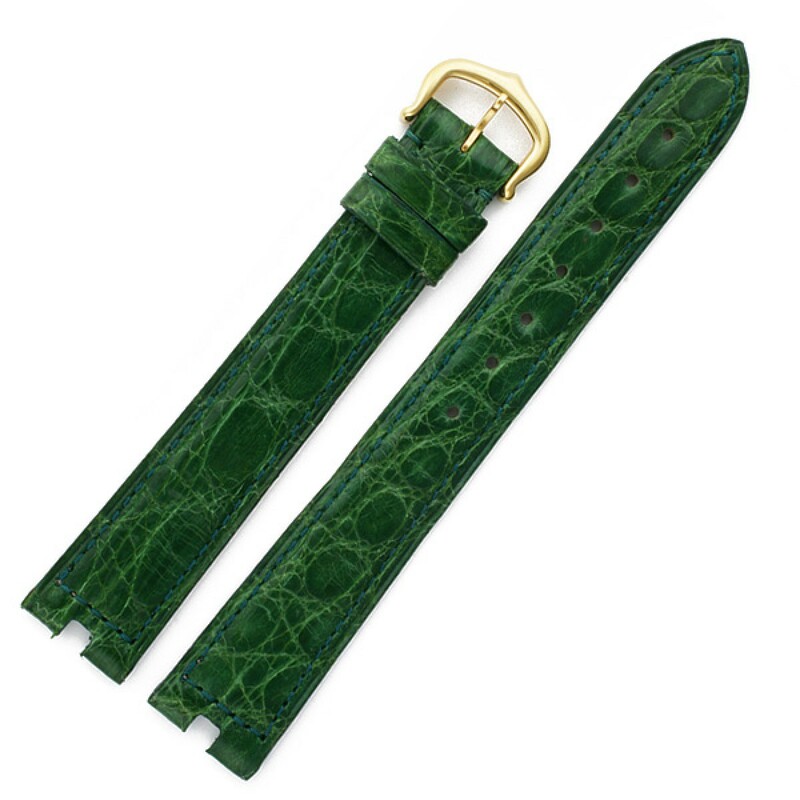 Cartier green crocodile strap. 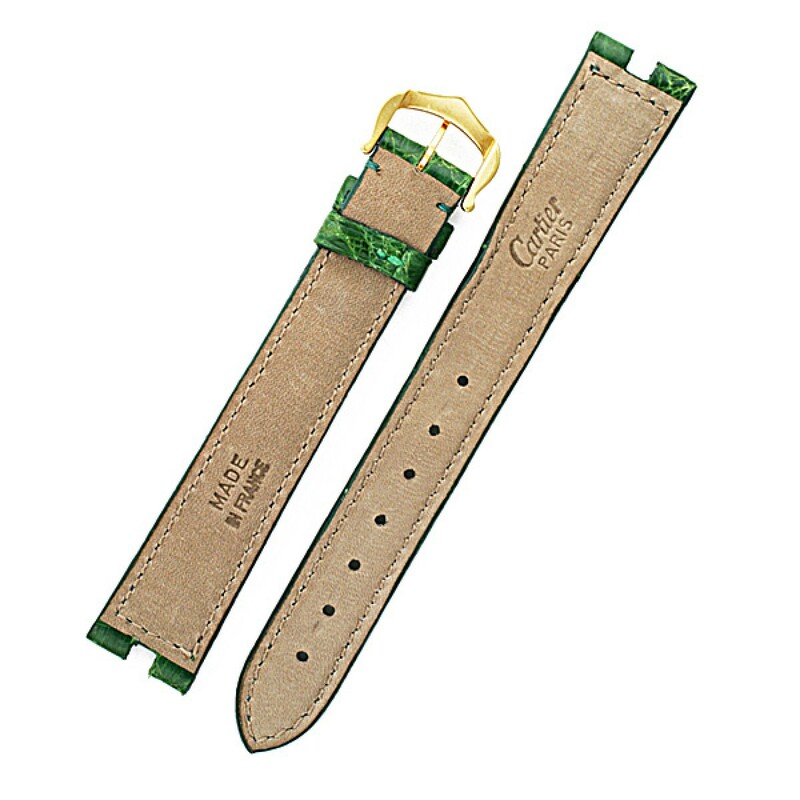 With a plaque buckle and a lenght of 4.5" long piece and 3.3" short piece. 16mm lug piece with 14mm buckle end piece.